August 18th marked this year’s World Honey Bee Day. Celebrated each year on 3rd Saturday of August, the day was first established in 2009 to raise awareness of the bee industry and its significance. 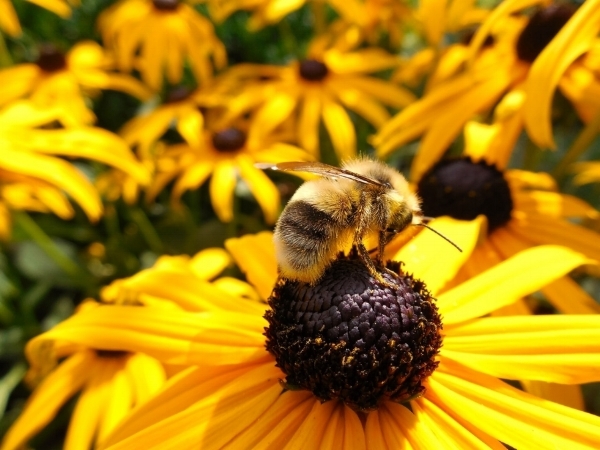 Bees are not only extremely important for humans, but also for entire ecosystems to function. They allow plants to reproduce through pollination and without them, many plants, including food crops would simply die off. A third of all the food that we eat is derived from plants pollinated by bees, so it is absolutely crucial for us, humans to do everything we can to save bees. Our agriculture can only survive with bees around. And yes they also make the liquid gold – honey! So how can we help to protect bees? Choosing organic lifestyle will help massively. Why? Because pesticides have a really harmful effect on bees and put their existence at risk. Two separate large-scale studies have confirmed last year that neonicotinoid pesticides, which are commonly found in most agricultural areas, kill bees and hurt their ability to reproduce. Those new studies claim that the environmental levels of neonicotinoids surrounding farmlands are killing bees over extended period of time and are particularly threatening to queen bees. Although the pesticides are not the problem bees face, it is definitely one of the huge factors responsible for their decline. Choosing organic products will have a great impact on bees and their well-being.As you are probably aware, organic farming avoids the use of the pesticides, herbicides and any artificial fertilisers thus provides a rich environment for bees to thrive. We, the general public have the 100% of the buying power so why don't we use it to create higher demand for organic products and encourage more and more farmers to go organic! Apparently Albert Einstein once said: “If the bee disappeared off the face of the Earth, man would only have four years left to live.” Well let’s do everything to never find out if that’s the case! *Look out for #beeorganic on social media to find out more about the campaigns and initiatives helping to save the bees.